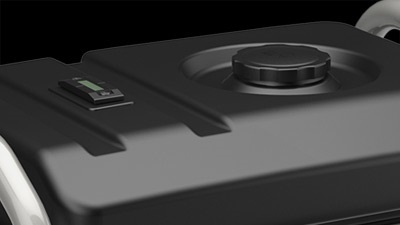 LONG 8 HOUR RUN TIME (AT 50% LOAD): A metal 4 gallon fuel tank for more durability and less refueling. 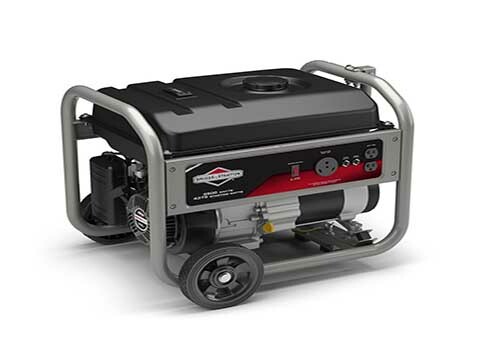 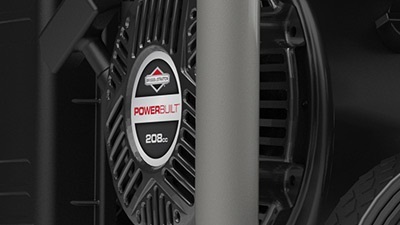 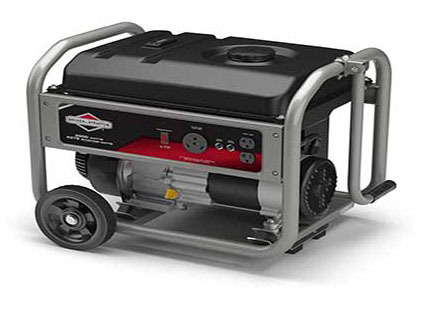 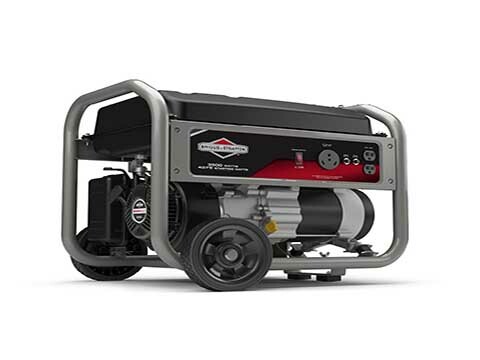 BRIGGS & STRATTON POWERBUILT OHV ENGINE (208 CC): This durable, easy starting engine features Overhead Valve (OHV) technology to run cooler and last longer: it’s ideal for portable generators. 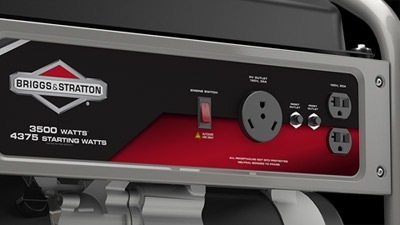 MULTI-FEATURED CONTROL PANEL WITH RV OUTLET: Includes two 120V household outlets and one 120V RV outlet to power essentials in your home, or items in your RV when you’re away from home. 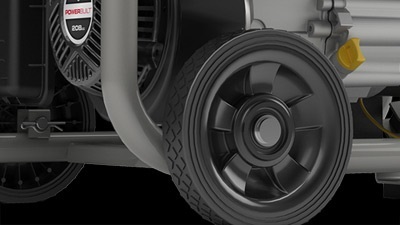 EASY MOBILITY: Featuring 7" Never Go Flat wheels and a fold-up handle.